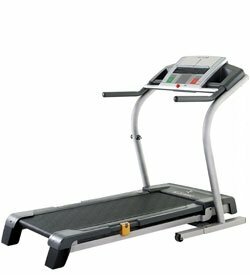 The NordicTrack C2200 treadmill is another budget model from the dynasty of Icon Fitness, the leading manufacturer of treadmills in the US. This model is suitable for light walking and sells for around $700. UPDATE: The C2200 is no longer being sold and has been replaced with the C700 and C990 models. You can read our latest NordicTrack reviews here. You can check out the current models on sale here. If you are looking for replacement parts you'll find some here. Fitness pros agree that the NordicTrack C2200 home treadmill has great features and a solid overall design. For this low price, the workout programs (including hill climbing, intervals, and calorie burning) should hold your interest and the speed and incline buttons on each side of the display allow you to punch in your favorite walking speed or incline rate without having to hold a button down to scroll to it. Owners like that this is a lot of treadmill for a little money. 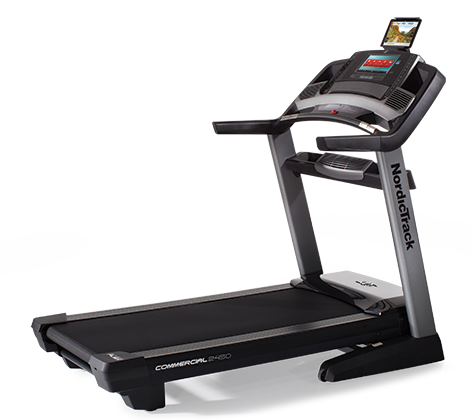 In addition to the specs listed above, the NordicTrack C2200 also has one touch speed and incline control, a carb counter, and the Odometer with MyMiles™ Tracker. While it’s too bad the company will be eliminating the NordicTrack C2200 model, there are several other treadmills within this price range that are suitable alternatives, such as the C700 which costs slightly more but has a few more programs and a bigger motor. Overall though, don’t be lured by the price here if your long-range goal is to maximize benefits from a treadmill workout as you progress from walking to jogging to running in your fitness program. The NordicTrack C2200 treadmill is a machine for walking only. If you plan to take up jogging once you drop some weight, this treadmill is not for you. If this sounds like you, plan your fitness regime accordingly and move up at least to the $1000 to $1500 class of treadmills.